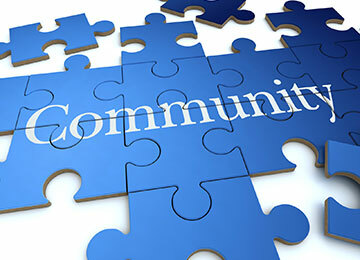 Our Community Development Team works with community groups and local and national charities. We provide information, advice and guidance around the complexities of running a group or charity. New Groups – Advice on how to set up committees, constitutions (including the new charitable incorporated organisation) , policies, meetings and action plans. Group Maintenance – Help with AGMs, EGMs, amendments to constitutions, policies and general advice, guidance & mentoring. Funding – Assistance with sourcing funding opportunities, advice on funding guidelines and help with funding applications (including acting as a reference or even red penning a bid). Trustees and Committees – Support to volunteers on trustee and committee issues. Events – Organise various events for the benefit of the diverse communities in the areas we serve, such as our Older People’s Network meeting at least 4 times a year to discuss key issues for older people’s group leaders, or the twice yearly welfare meetings with Citizens Advice Bureaux about benefit charges, worklessness & economic pressures. Publication – Provide regular publications containing information of both local and national importance to the Voluntary Sector. Training– Providing both groups, individual & bespoke training. Click here for further details. Much of the above information including policies, fact sheets and guidelines are available in the form of an essential tool kit which can be accessed by clicking here. The toolkit is free to use but we ask you to complete contact details which we may use to contact you at a later date to see if the information you were looking for is available to you.